The Siebold Company Acquires DR Press Equipment - Siebold Company, Inc. 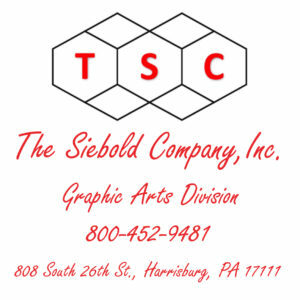 The Siebold Company Inc. (TSC) announces the acquisition of DR Press Equipment, Inc.
DR Press Equipment, Inc. has been providing web offset replacement press parts and related components since 1987 to newspapers and commercial printers. Pictured above are TSC President Jim Siebold and DR Press Equipment President Dan Dowejko after signing the sale and purchase agreement. The Siebold Company (TSC) is pleased to announce that it has acquired web offset printing press parts supplier DR Press Equipment, Inc. The purchase is aligned with Siebold’s parts expansion strategy to better serve their global customer base. The acquisition of DR immediately gives TSC entry into the double-width web offset parts business, additional single-width parts and expert parts personnel. TSC VP Corporate Development Christopher Miles commented, “Following the TSC acquisition of Dauphin Graphic Machines (DGM) and Smith Pressroom Products, acquiring DR adds significant double-width and single-width press parts offerings to our growing parts inventory. We are also very pleased that DR’s Dan Dowejko joined TSC and will remain active helping our customers with their parts purchases”. All parts are inventoried and available at TSC’s Harrisburg, PA facility by calling 800-452-9481. TSC has completed over 5,000 successful equipment installation projects since 1989 throughout North America and the English-speaking Caribbean Islands and specializes in the newspaper printing, commercial printing and material handling industries. TSC is the parent company of DR Press Equipment, DGM and Smith Pressroom Products and offers press equipment brokering services, equipment reconfiguring & reconditioning services, equipment audits & appraisals, operational consulting and is the exclusive distributor for Netherlands-based GWS Printing Systems. For additional information please visit our website www.sieboldgraphicarts.com or call 800-452-9481.